"...he's still well-treated on the pick of his form, and this looks a good opportunity for him to stretch his unbeaten course record to three." 13:50 - HEATSTROKE (1) was unable to back up his impressive win at Huntingdon in February when fourth at Kempton last month, though he looks worth forgiving for that run considering it was the second outing after a long absence, and he shaped as though he was amiss that day. He had looked a good prospect over hurdles prior to that, though, and looks worth siding with to get back on track in Wincanton's opener. Stablemate Ballycaines could be capable of making his presence felt on his hurdles debut and is considered, as is Tiffin Top. 14:25 - SAN SATIRO (9) hasn't convinced with his temperament on three starts over fences to date, but he is a fairly useful performer at the very least when everything comes together, and is able to stay further than today's trip. The fact that a very strong pace is forecast should therefore suit him, and he's starting to slide down to a workable mark. It's interesting that Harry Cobden has opted to ride him over stablemate Peak To Peak, and he looks worth chancing to return to form at a double figure price. Stubborn Logic begins life in handicaps from an appealing mark for a yard with a superb record at improving such types so is respected, while last year's winner The Sweeney also enters calculations. 15:00 - TURTLE WARS (6) was a big eye-catcher when fifth on his return from a three month break at Newbury last month, with the way he went through the race very much in contrast to the lacklustre effort he had produced prior to that. 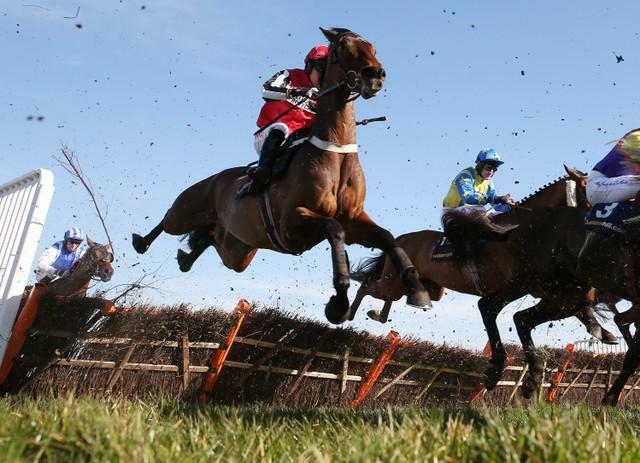 A promising hurdler, he's very much a chaser on looks, and remains open to more improvement after only three starts over fences - especially with that confidence booster under his belt - and the drop back to 0-125 company here presents him with a good opportunity to open his account in this discipline. The progressive Royal Supremo is a potential threat if ready to go after 7 months off, while Bally Longford should go well again. 15:30 - While SOUTHFIELD TORR (5) is undoubtedly one of the lesser lights at the Paul Nicholls yard, disappointing on his most recent start here in February, he is lurking on a workable mark at the moment, having been dropped 2 lb by the assessor for that effort. He would have leading claims in this on his peak form, when finishing second in a pair of novice contests at Taunton towards the end of last year, and is chanced to pick up a much-needed success. Tea Time Fred could be set for a big run under last year's winning rider Major Charlie O'Shea, while Cousin Khee and Vue Cavaliere are also respected. 16:05 - GAMAIN (1) was a winner over ever-so-slightly further here last month, taking his tally here to 2-2. Raised 5 lb for that success, he's still well-treated on the pick of his form, and this looks a good opportunity for him to stretch his unbeaten course record to three. Last month's Fontwell scorer Cap Horner can give him most to think about. 16:35 - Disappointing to see just three take their chance here, and as such it is difficult to get away from SOUTHFIELD VIC (3). He's finished second in his two starts in this sphere so far, and is the class act in the field, sitting 5 lb clear of his two rivals on Timeform's weight-adjusted ratings. He's taken to score at the expense of the likeable Woodfleet, while Keltus looks booked in for third. 17:10 - ERITAGE (1) was unable to win on his Rules debut at Exeter in February, when no match for a fine prospect, but there was no shame in that, and he still offered plenty to work on. He doesn't have too much to find with those in the field with more experience under their belts, and he can take this. Stablemate Mister Timmytucks, seemingly the choice of Harry Cobden, is well thought of and respected, while the well-bred Raven Court isn't one to be giving up on given his strong debut form.